The lightweight Station LT jacket combines exceptional performance with practical style. Sleek and streamlined, the Station LT prevails in all situations. 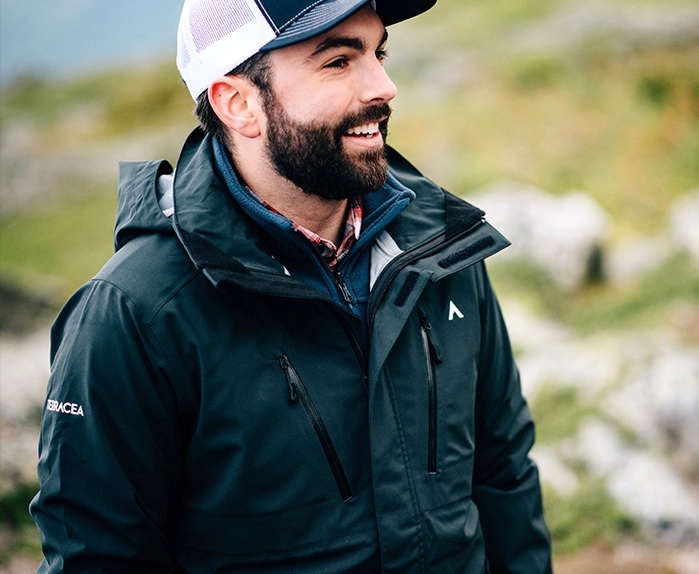 Featuring a durable, lightweight 3-layer fabric, the Station LT cuts out heavy wind and rain, yet remains compactable enough to toss in your bag when the weather lets up. 20k waterproof / 34k breathable fabric stops harsh weather in its tracks while you stay cool and dry. 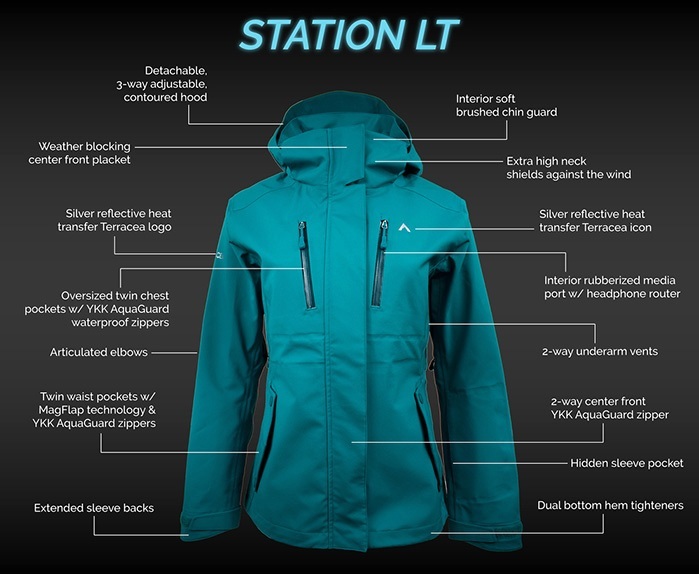 The Station LT connects seamlessly to any Terracea Landing or Crossing mid layer jacket for a precise fit and added versatility. See our mid layer jackets HERE.